Tusks: Some males have large tusks. Females and some males have tusks called “tushes” which seldom extend beyond the upper lip. Social life: Female family groups. Adult males are solitary or form loose social relationships. E.m. hirsute(Malayan elephant), E.m. indicus (Indian elephant), E.m.maximus (Sri Lankan elephant), and E.m. sumatranus (Sumatran elephant). Elephas maximus is listed as an endangered species with the United States Fish and Wildlife Service (USFW) and classified under Appendix I with the Convention for International Trade on Endangered Species (CITES). E.maximus once occurred from the Tigris-Euphrates in western Asia, east through Iran and south of the Himalayas; throughout south and southeast Asia including the islands of Sri Lanka, Sumatra and Borneo, and into mainland China northwards at least as far as the Changkiang (Yangtze river). 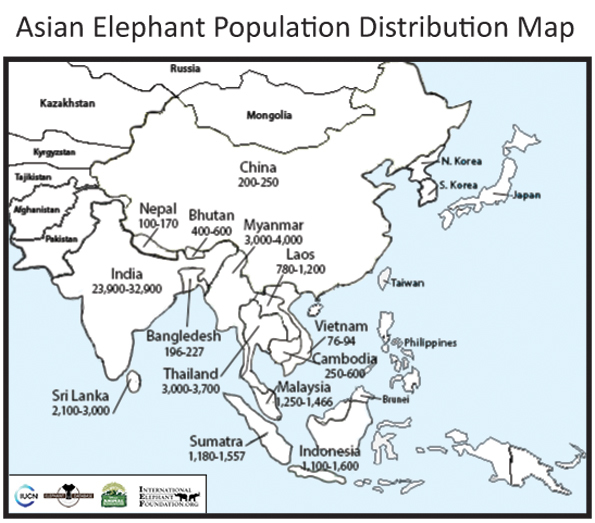 Elephants have disappeared entirely from western Asia, Iran, and most of China. They currently occur in the following regions and countries although they are usually restricted to hilly and mountainous areas: a) Indian subcontinent: India, Nepal, Bhutan and Bangladesh, b) Continental southeast Asia: China, Myanmar, Thailand, Cambodia, Laos, Vietnam, and Malaysia, c) Island Asia: Andaman Islands (India), Sri Lanka, Sumatra (Indonesia), and Borneo (Malaysia and Indonesia) (Sukumar 1994). It is estimated that at the turn of the century there were more than 100,000 elephants in Asia (Santiapillai and Ramono 1992). The actual number of elephants found in the wild then and now can be only rough estimates. The surviving population of Asian elephants is estimated between 30,000–50,000, one-tenth of the population of African elephants. The process of trying to systematically census the densely forested regions of Asia is extremely difficult. In many countries, unfavorable political conditions hamper or prevent census work. The loss of habitat has been the primary reason for the decline of E. maximus. 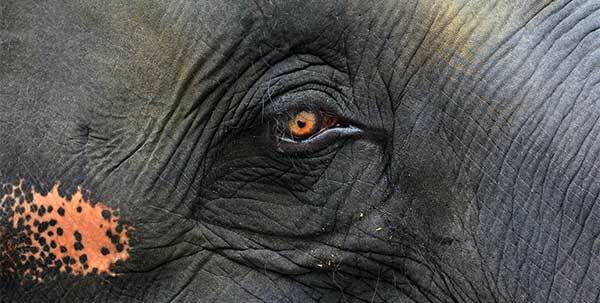 About 20 percent of the world’s human population lives in or near the present range of the Asian elephant. With human numbers increasing at a rate of about 3 percent per annum in most countries, this could mean a doubling of the human population in 23 years. 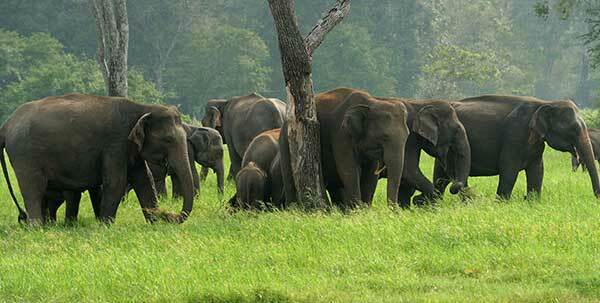 The elephants’ forest home has been reduced to a fraction of its former range. India’s extensive forests, where elephants roamed widely, now cover less than 20 percent of the country, and barely half of that is suitable habitat for elephants. 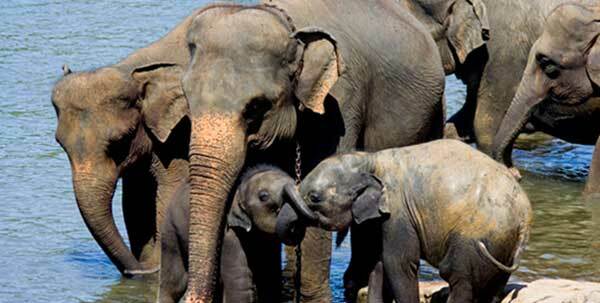 The central India elephant population has been seriously fragmented. Thailand has cleared almost all its lowland forest, creating a huge void of wildlife habitat in the heart of the country. On the Indonesian island of Sumatra, vast areas of forest are being cleared to accommodate millions of people resettled from the crowded islands of Java, Bali, and Madura. Indo-China’s forests were seriously damaged during 30 years of constant warfare. More forest land, however, has been cleared since the Vietnam War ended than during it. In Sri Lanka, the vast Mahaweli River Valley Project for settlement, crops, and irrigation cuts a wide swathe through the heart of elephant country. Myanmar (formally Burma), Cambodia, and Laos still have considerable forest cover, but is impacted by logging. The fragmentation of the elephants’ forest habitat is particularly deleterious. To find the best feeding areas, elephants migrate with the seasons. Now that migration routes have been disrupted and herds are confronted by new settlements and agriculture, conflicts with humans are inevitable. 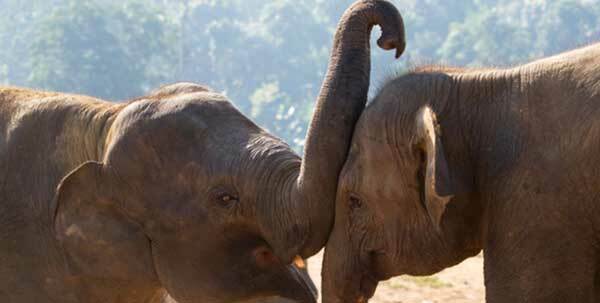 World Wildlife Fund estimates that there may be only 10 Asian elephant populations of more than 1,000 animals in the 13 countries where they are currently found (WCMC and WWF International 2001). 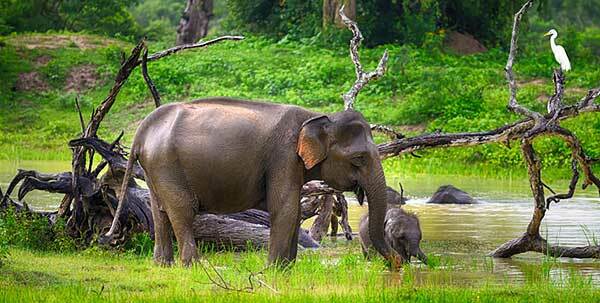 Other factors affecting the wild Asian elephant population include mortality during capture and poaching for ivory.